This May, Denver joins other cities in Colorado- throughout the West- across the US- and all around the world, to plant the seeds of change and celebrate bees + seeds and everything in between. Pack a picnic and bring your family to celebrate pollinators, seeds, community-based agriculture, gardening, farmers, and the healthy local foods that nourish us. Costs will go to cover port-a-potties, advertizing and other needs – please email: justsaynogmodenver@gmail.com for more details. Swarm the Globe to Save the Pollinators! DENVER (August 15, 2014) – March Against Monsanto – Denver in collaboration with Bee Against Monsanto- Denver, has announced that on August 16, they will join activists around the world in a global Swarm to Save the Bees. 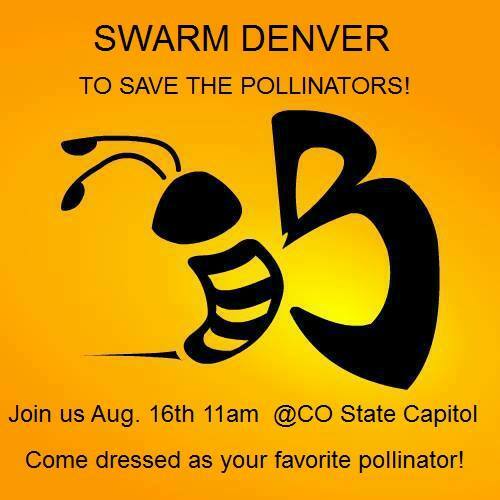 Organizers of the Denver event are asking attendees to come dressed as their favorite pollinator to “Swarm Denver” in a family friendly march and ‘Colony Collapse’ to bring awareness along the 16th St Mall! David Wheeler, Bee Safe Neighborhoods, A musician and musicologist who has taught and performed the Japanese bamboo flute called the shakuhachi for over 35 years, David Kansuke Wheeler is also a parent, a housekeeper and back yard gardener. Don Studinski, dba Honeybee Keep, is a permaculture enthusiast and member of the board of directors at Living Systems Institute (LSI) where he applies permaculture philosophy to beekeeping. Honeybee Keep manages Colorado’s first Certified Naturally Grown (CNG) apiaries: LSI in Golden and Cottonwood Farm in Boulder. As a beekeeping mentor, Don provides advice and counsel for students throughout the United States, teaches classes and performs public speaking events. 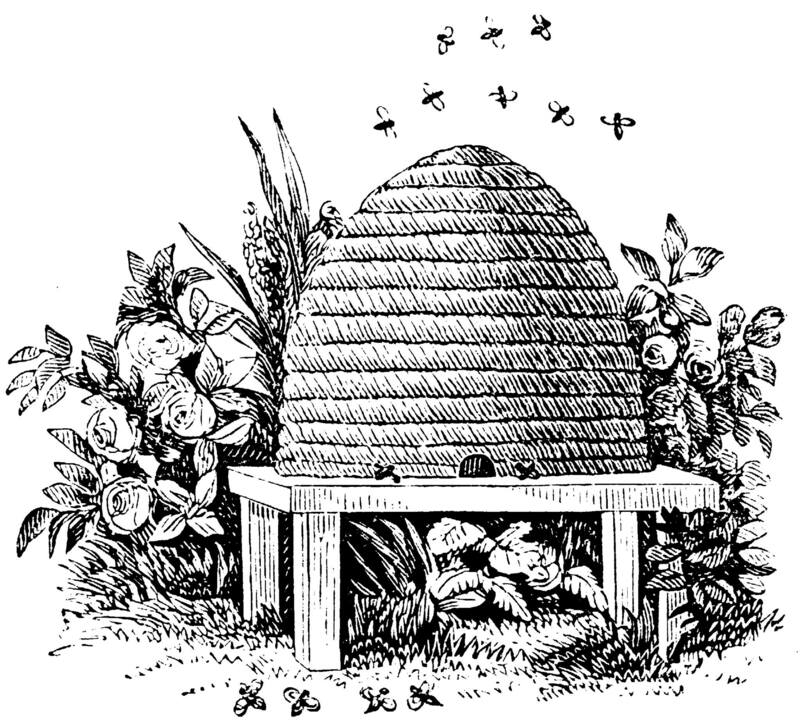 He writes extensively about beekeeping on his own website and for a variety of others, including Bee Culture magazine, Peak Prosperity, Selene River Press and Honeybee Haven. Janet Muse, LSW is a Licensed Social Worker currently serving as a child and family therapist. Janet is also an E-RYT yoga instructor registered through the yoga alliance, and a trained birth doula. She is an activist in the areas of bee/pollinator protection, environment/wildlife protection and conservation, civil rights, animal rights, and breed specific legislation (removing it that is). In short, her work is to promote the mental and spiritual health and well-Being of the animals, individuals, and families she is so blessed to serve. For local media inquiries, to schedule an interview, or for general information, contact Ellice Campbell at ellicecampbell@enlightenedlotuswellness.com. March Against Monsanto. May 24. Everywhere. “The Fishy Food art car fleet’s cross-country swim from Washington, DC to Washington State will get people talking about the importance of GMO labeling,” says David Bronner, President of Dr. Bronner’s Magic Soaps, whose company supported the creation of the art cars. Since 2011 there has been a rebirth in citizen activism around the issue of knowing what’s in our food. That year, the Right to Know March for GMO labeling walked 313 miles from Brooklyn, NY to the gates of the White House in Washington, DC. “The ‘R2K’ march was obscure to most people, but two years later there is widespread awareness of unlabeled GMO foods thanks to voter initiatives, increased legislative efforts, world-wide protests, and creative education efforts like the Fishy Food cars,” says Bronner. Genetic Engineering means more pesticides. Chemical companies genetically engineer DNA from bacteria into food crops to either produce or tolerate the pesticides they sell. This foreign DNA produces foreign proteins in every cell of the plant that we eat in our food. No long-term independent safety studies have been performed on adverse health effects. Overuse of pesticide is creating resistant superweeds and superbugs, which leads to more pesticides being sprayed. Now chemical companies like Monsanto and Dow are engineering resistance in food crops to much more toxic weed killers like Dicamba and 2,4 D, the main ingredient in Agent Orange. While over 60 countries—EU nations, China, Russia, Japan, Brazil, and South Africa included—require labeling of GMOs, US consumers can currently only rely on voluntary labeling to determine whether food products have been genetically altered through gene splicing technology. The first car in the Fishy Food fleet was “Poppy,” aka Fishy Corn Car. Created in September 2011 by César Maxit and DC51 artist collective. Fishy Corn was constructed with a frame made of welded steel and a skin of chicken wire and tape. The design was implemented for the Right2Know March, where Fishy Corn served as a support vehicle to carry leaflets, organic snacks and water, and to ferry people to the front of the march when they were falling behind. Later that year Maxit, working with welder & fiberglass artist David Jackson, began building a larger and more durable Fishy Corn sculpture from fiberglass with a heavy steel frame. The new and improved Fishy Corn car went to Monsanto headquarters in Creve Coeur, Missouri for the 2012 annual shareholder meeting with activist Adam Eidinger. He parked the car on the agribusiness giant’s campus and debated Monsanto’s CEO Hugh Grant on GMO labeling during the meeting. A secret video of the encounter went viral online shortly afterwards.Fishy Corn then stayed in St. Louis with activists and after a few months swam to California to support Proposition 37, a GMO labeling voter initiative that failed by less than 2% in November 2012. In December, Fishy Corn made a southern tour with members of the Real Cooperative who returned it home to Washington, DC.In January 2013, Maxit began building four more Fishy Food creations using extensive volunteer labor from the Washington, DC community. By the beginning of March 2013, the Fishy Sugar Beet aka “Rooty” swam onto the scene. Since then, Fishy Apple aka “Goldie,” and Fishy Soy aka “Soja Girl” have been completed. Fishy Tomato aka “K-Sup” is was completed today July 15, 2013. “People want healthier food than what GMO food has to offer,” says Rica Madrid, coordinator of the Are We Eating Fishy Food Tour. “You can measure the impact these educational vehicles are having by the reaction and excitement on people’s faces and the large number of shares we see in social media,” says Madrid. Members of the media are encouraged to embed with the Are We Eating Fishy Food fleet for some or all of the tour. Contact Adam Eidinger at 202-744-2671 or adam@mintwood.com to make arrangements. 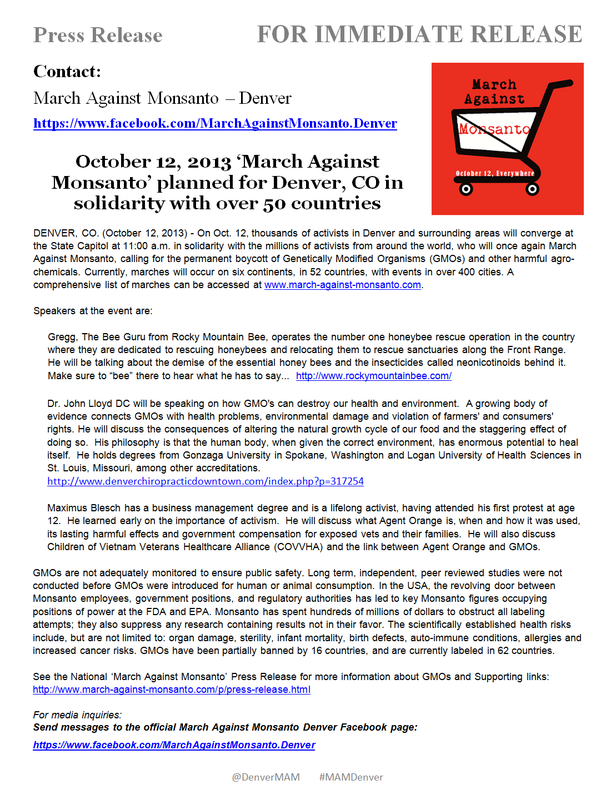 As the March Against Monsanto is close at hand, we are grateful to Colorado local KGNU has once again been gracious in bringing the community real news about what all the noise is about. Today KGNU is celebrating 35 years of public education. Come take a listen as Ellice Campbell spends time on Metro a locally produced news and public affairs talk show. Information begins with Micro RNA’s that impact all forms of life through active genetic modification of our human cells is discussed. There is a danger in consuming the poisons used to deter weed growth and natural insects in over 80% of farms producing corn and soybeans. These poisons are used with genetically modified plants that have had their genetics spliced with bacteria to survive the poisons used. The food then carries parts of this poison in it as the crops leave the farm and head for factory. These crops are processed and end up in most of the food available in grocery stores today. While it has been proven that animals eating these crops have developed cancer, gone through phantom conception and delivered empty birthsacks and experienced all kinds of other diseases. Additionally the The American Academy of Environmental Medicine advises their doctors to prescribe non-GMO diets as they have found GMO’s to cause reproductive, immune system, aging problems and so much more. Education is the most important factor. The impact of disease has impacted the human race as well. This is because the primary company that has developed these crops, Monsanto – aware of these scientific facts has done everything to remove themselves from liability for the effects of their creation while they continue to pump out these crops. 80% of corn is GMO corn. High fructose corn syrup is in all the food you eat. These crops are continued to be produced with the knowledge that the food created from it can kill. This year a bill passed through congress called, Consolidated and Further Continuing Appropriations Act, 2013 which is often called the “Monsanto Protection Act” who’s purpose (in layman’s terms) is to indemnify Monsanto Corporation and other GMO producers from persecution when this becomes an epidemic. We believe this is a crime against humanity. Many of us remember when poison stickers were something you put on chemicals in the house to warn children of their danger. And now, we believe it is time to require food manufacturing companies to be required to label the food products they make when poisons #GMO’s are used in the production of our food. It’s easy to agree that eating rotten, moldy or contaminated foods is not advised because people can get sick and die. It’s time for us to stand together and make the same statement made to chemical companies, label your products so consumers know what they are purchasing. It’s illogical that the healthy and safe food to eat be labeled and not the dangerous items.